Whether we are in office or at home, we need a notebook to write on it for a range of reasons. We might need to draft something down or just write something so we can remember it later. Irrespective of what the use is, notebooks and notepads are a necessity. 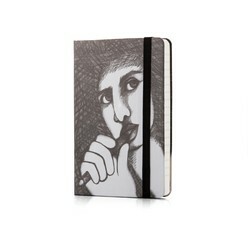 When it comes to notebooks, let's not forget the two that are available at Giftwrap. Giftwrap offers the A6 notebook and the A5 notebook. The former is available in a chew on it design. 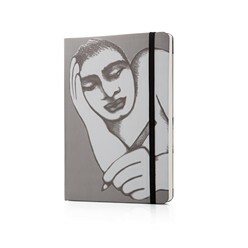 Ideally designed, you can easily jot your notes down on this notebook. The second is the A5 notebook. This is available in the point of view design and is ideal for writing down notes. Both notebooks at Giftwrap are very uniquely designed and are a must have for those who want to write their notes down. The best thing is that they are affordable so you can even buy them in bulk. Please browse through the items below. If you are interested click the "Request Quotation" link next to each item. A customer service consultant will contact you with a quote. Price estimate excludes branding, VAT and volume discounts apply.